If you’ve made the decision to get some help with your home or office décor or design job, the next obvious step is to find the right professional for the job. This is not as easy as it might sound, as you can expect to pay a decent sum for quality service and you want to make sure you are working with a designer who is qualified and also knowledgeable in the areas that you need. 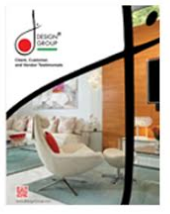 So your first step in the search is to understand what types of professional interior designers are available. You may not have even known before now that there were different types. For example, there are professional redecorators. These people will use things that are already in your home but rework them or rearrange them in ways, according to their training and expert eye, that make them work best in your home. Then you also have the certified interior designer, who is a design professional qualified to design, prepare and arrange the spaces of homes and professional buildings. They are educated and also usually have a natural eye and feel for interior décor, design and space. In addition to knowing how to make things look great, they also understand things like space planning, disability access, flammability and other safety and code issues. Interior designers will usually have a minimum of a four-year degree and many more will have their Masters with years of on the job experience. A qualified designer might even have degrees in architecture and other related fields as well. Flat rate- As the name implies, this is a payment method that includes a flat rate for all services based on the design, scope of project and time required. This is often used in larger scale projects. Hourly rate- This is negotiated at a rate per hour and is often reserved for smaller projects. Cost plus- This method means a set percentage on all items purchased and services rendered will be charged. There are also mixed methods, which combine the different types of payment methods mentioned above. You should always be sure to find out what kind of payment they charge and ask any questions upfront so you are completely clear on what is covered and how you will be billed. You will want to arrange for a first meeting with your potential interior designer before signing any permanent agreements. Ask questions about the designs and why they were chosen. Ask about the budget and how the proposed budget will be handled. Ask what kinds of services they provide. You should also be prepared to answer some questions yourself about what you want from your interior designer, what your goals are, what the space will be used for and how you plan to occupy the space. As you can see, there is a lot more than goes into it than just picking any interior designer. Take your time, shop around and choose accordingly. This is an important decision you are making.